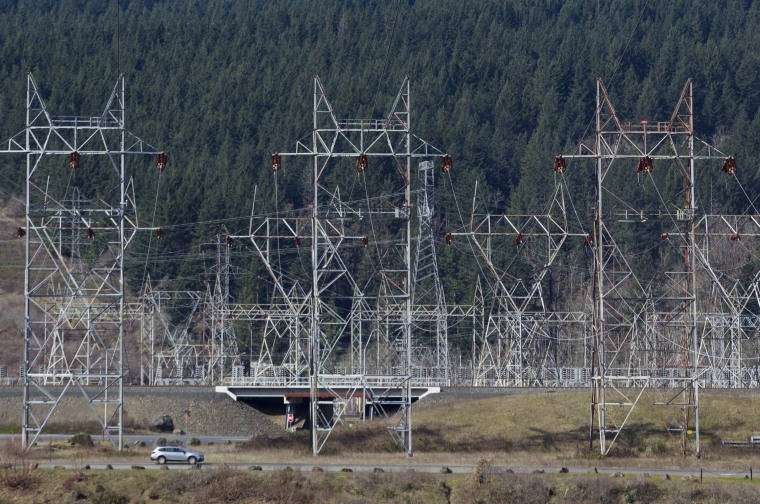 WASHINGTON — A bipartisan duo of U.S. senators is urging President Donald Trump to pay more attention to the threat posed by Russia against critical infrastructure like the nation's electric grid, and to provide an analysis of the risk and a plan of action within 90 days. In a letter to the White House Wednesday, Washington Democrat Maria Cantwell and South Carolina Republican Lindsey Graham write that they are "concerned about Russia's capabilities with respect to cyberattacks on our energy infrastructure." "We believe the federal government needs to take stronger action prioritizing cybersecurity of energy networks and fighting cyber aggression to match your Department of Energy's outward facing commitment," says the letter. This is the third time Sen. Cantwell, the ranking member of the Senate Committee on Energy and Natural Resources, has written to President Trump to express concerns about Russia's ability to target U.S. energy facilities, pipelines and other critical infrastructure. The White House has never responded. Unlike the previous letters, however, Wednesday's request is cosigned by a prominent Republican who has called himself a friend of the president. And, for the first time, Sen. Cantwell asks the administration to detail what they are doing to combat Russia's cyber capabilities. A senior Capitol Hill cyber expert told NBC News that the White House needs to focus more on the threat from Russia in cyberspace. "The administration realizes China is a threat and they are actively fighting it. They realize Iran is a threat and they are actively fighting it. They realize North Korea is a threat and they are actively fighting it. When it comes to Russia, there seems to be a really significant disconnect." At the Aspen Security Forum last week, Director of National Intelligence Dan Coats warned that Russia is "by far" the most aggressive actor against the U.S. in the cyber world, and said he is concerned about a "cyber 9/11." "Let's say you shut down Wall Street for a week. What does that do to world markets and people's investments?" he said. "What about an attack on the electric grid in New England in January that may be sophisticated enough to take it out for three days? How many people will die from minus degree weather on that?" In March the Department of Homeland Security and the FBI issued a joint alert that Russian government hackers had staged malware and gained access to U.S. critical infrastructure, including energy networks, nuclear, commercial facilities, water, aviation, and critical manufacturing sectors. Cantwell and Graham's letter requests that within 90 days the White House produce a written "thorough analysis" of the scope of the threat, prior Russian cyber intrusions, and what the administration is doing to combat these cyber capabilities. Director of National Intelligence Dan Coats and Energy Secretary Rick Perry are copied on the letter.